Crochet your very own blizzard! 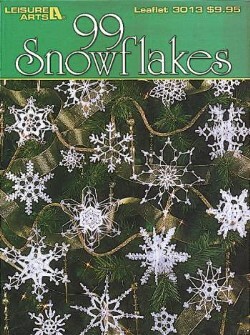 From small to extra-large, these exquisite thread snowflakes are perfect for trimming your tree, garnishing your windows, and decorating packages. Leaflet - 56 pages by Leisure Arts.